Good quality product, very good value, fast delivery. 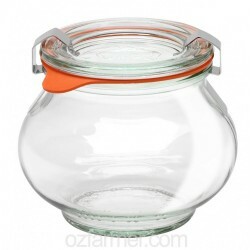 Brand new 150ml round preserving jars with 53mm twist top lids in a 20 pack. These jars are the perfect size for pesto, jams, jellies and passionfruit pulp. Lid colour may be gold or black depending on availability. If you require a particular colour please include it in your order comments. They take a size 53mm lid with lids also available for purchase separately click here. 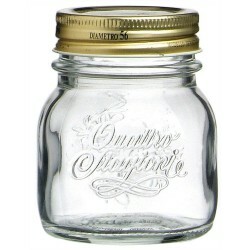 Brand new 100ml round jars in a 18 pack. 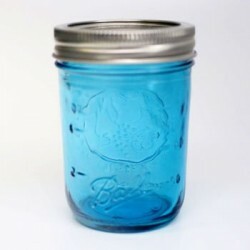 These jars are the perfect size for a range of uses inclu..